On Tuesday, September 1, the Florence Freedom, presented by Titan Mechanical Solutions, will celebrate NKY Hates Heroin Night at UC Health Stadium when the Freedom take on the Windy City Thunderbolts at 6:35pm. 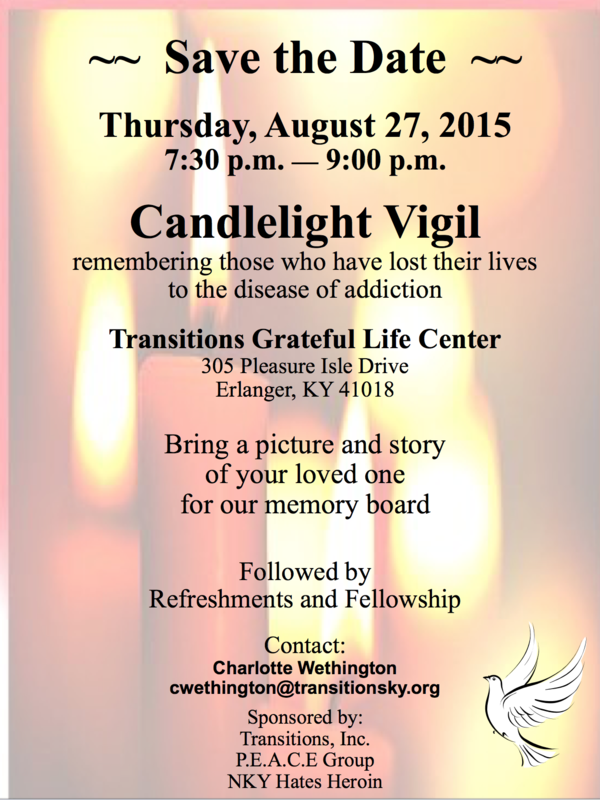 The event is being presented by Steve Cain’s All Vacuum Center and will be used as a fundraiser and awareness builder for Northern Kentucky advocacy and heroin support groups NKY Hates Heroin andTransitions. Activities during the night will include a Recovery Celebration call down during the 7th inning for the crowd to show their support for those choosing the path of recovery. 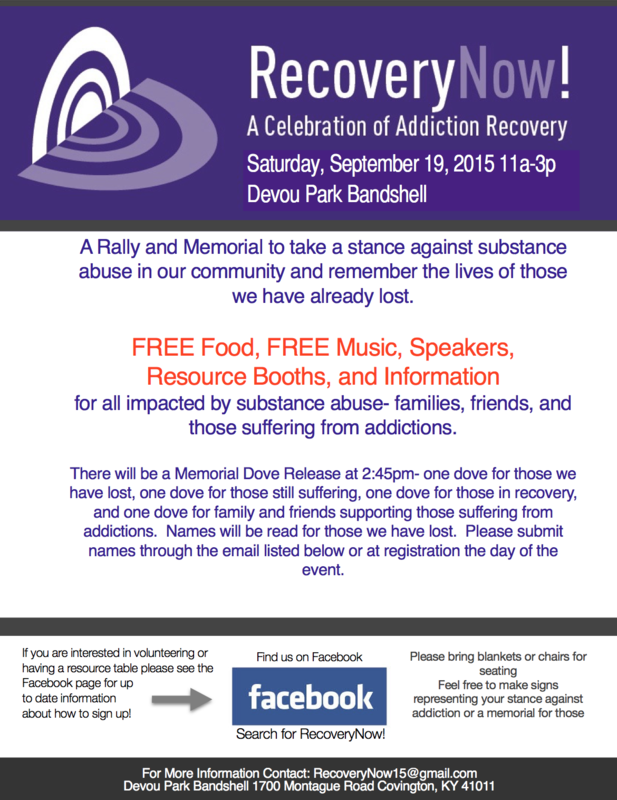 The dugout tops will be transformed into a memorial wall to remember the families that have been impacted by heroin. Finally, the Freedom will wear these specialty jerseys that fans can bid on and take home off the players backs. The proceeds from the sales will benefit the two charities that night. Fans can purchase tickets in two ways. 1) Click here and enter special offer code “recovery” (case sensative) and click submit. $5 over each ticket purchased when this special offer code is used will go back to support NKY Hates Heroin and Transitions. 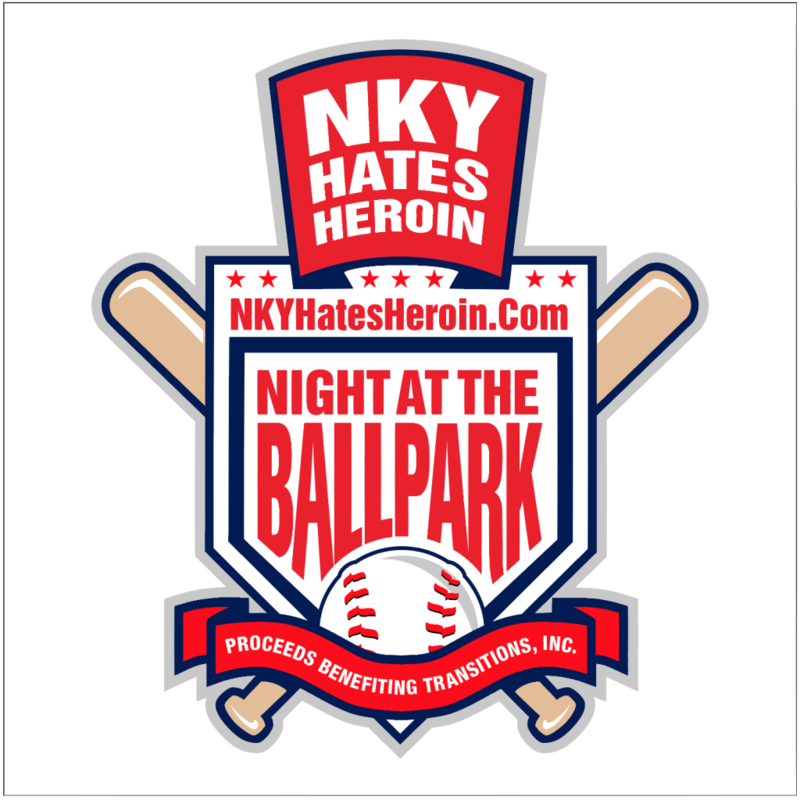 2) Click here for more information on how to purchase a special Fan Package which will include a NKY Hates Heroin T-shirt, bracelet, a $5 concession voucher and ticket to the game for just $25. $15 of each Fan Package will go back to support NKY Hates Heroin and Transitions. 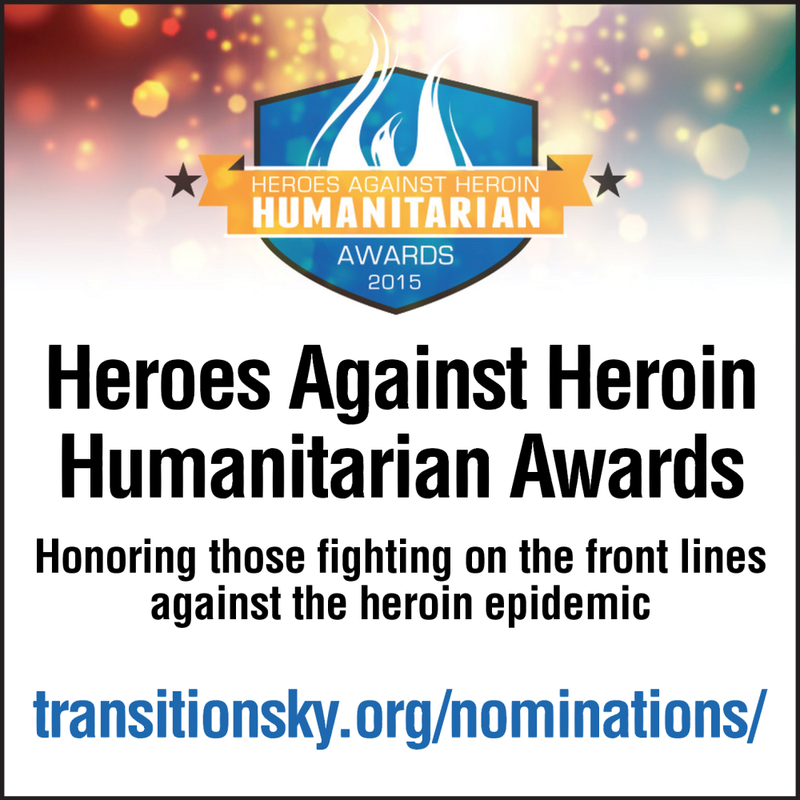 Transitions, Inc. will honor members of the Greater Cincinnati Community who have been nominated by the community to receive special recognition for their work in providing hope to those individuals, families and the community affected by heroin use. Award Winners will be honored at a Gala Dinner on October 9th held at the Montgomery Inn Boathouse. Nominations may be submitted beginning on August 17, 2015 through September 4, 2015 and must be received by Transitions no later than 5 PM. Nominations must be submitted on the Nomination Form provided. Completed nominations may be submitted in person, via email, fax or regular mail according to contact information at the bottom of the Nomination Form. Elected Official – An individual working to solve issues related to the heroin epidemic such as: a Legislator who drafted or worked hard to pass and enact the new heroin bill; Judge, Jailer, Sheriff, or any other elected official who is looking for creative ways to help people who use/used heroin and/or their families who are searching for resources. Professional – Doctor, Nurse, Pharmacist, Health Department Official, Social Worker, Chemical Dependency Counselor, Police Officer, Attorney, Educator, Journalist or any other professional who is working on the front lines with people who use/used heroin and/or their families who are searching for resources. Volunteer – An individual who acts without being paid and is providing education, access to treatment, acting as advocates, volunteers, service providers and those who are in recovery creating help & hope for people who use/used heroin and/or their families searching for resources. Nonprofit – An organization (including a church) that provides funding, education, awareness, harm reduction, advocacy services and support in relation to providing solutions for the heroin epidemic. Corporate / Business – An entity that: supports individuals in recovery by providing internships, apprenticeships, and jobs – especially to those with felonies who find it extremely difficult to find a job; helps to raise awareness about the heroin epidemic and community resources, including harm reduction; shines a light on projects that provide help & hope to people who use/used heroin and their families searching for resources. We are awareness advocates representing the Northern Kentucky Community – the epicenter for the current heroin epidemic that has rocked our state to its very core. For over three years local advocates have been developing resolutions and making recommendations to our state regarding the stabilization and eventual eradication of this epidemic. Each year we have received little help from the policy makers of our state and each year the epidemic spreads farther into our state and is claiming more lives. Our time to act is running out. Today we have a heroin epidemic, tomorrow we will wake up to find that we have become the highest ranking state in the country for overdose deaths and infectious diseases – this is not something we want Kentucky to be known for. We can change our future and offset the negative ramifications that will surely come if we continue to do nothing, but our future will be determined by those who are willing to get involved. We are leading a campaign out of Northern Kentucky to support a very important piece of legislation that will be going up for vote at this coming year’s General Assembly. While there are a variety of draft bills concerning the Heroin Epidemic, NKYHatesHeroin.Com is not specifically endorsing a particular bill but encouraging our legislators to work together to pass a final bill that best suites the needs of Kentucky. The NKY Heroin Impact Response Task Force (learn more about the task force here) has drafted a list of 20 items they have determined are priorities in our fight against the Heroin Epidemic in Kentucky. 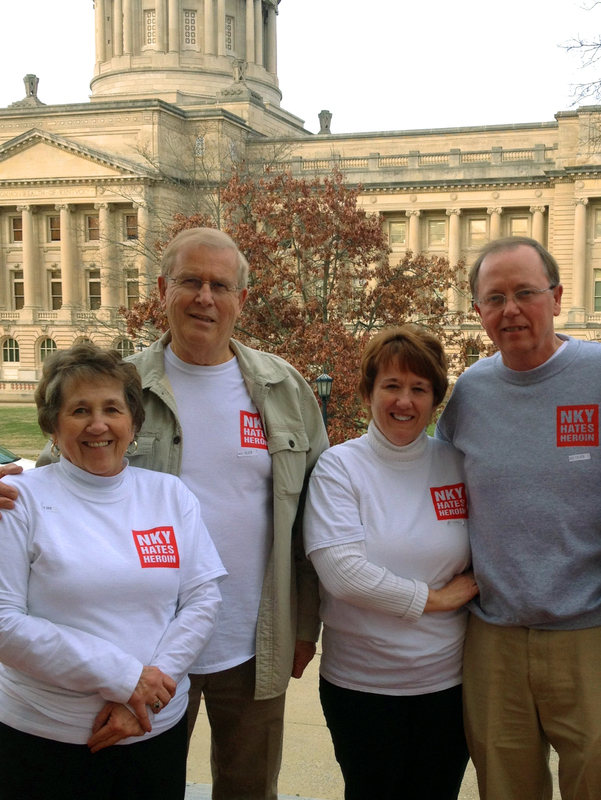 Help Us Take Action – March on Frankfort! Join us in Frankfort on January 6th on the capitol steps at 10:00am where we will rally together in front of the Capitol and will then march into the rotunda of the Capitol, once there a select few will be testifying in front of the General Assembly, and handing over our unified voice (petition.) >> You can read and sign the petition online here. Follow the Bus Along with NKYHatesHeroin.Com and Friends! We will be gathering at 7:30am (In the parking lot of Burlington Coat Factory: 4293 Winston Avenue #2, Covington, KY 41015) and leaving Northern Kentucky at 8:00am. You are welcome to follow the bus to Frankfort! Launch an evidence-based opioid and heroin treatment and interventions program to expand treatment best practices throughout the country. Strengthen prescription drug monitoring programs to help states monitor and track prescription drug diversion. Longer mandatory prison terms for predatory traffickers (not users supporting their substance use disorder). Funding for peer support recovery programs. “Means tested and vetted” repayment programs for those treated at governmental expense. Mandatory Hepatitis C and HIV testing and counseling for all ER and arrests suspected of substance use disorders. Language that recognizes substance use disorders as a disease. Language that removes stigma associated with substance use disorders. Funding/support services for pregnant women with substance use disorders. Expanded access to Naloxone with Good Samaritan protection. Medicaid payments for Medicated Assisted Therapy for those with opioid substance use disorders. Allow for evidence based infection prevention services including education, case management and wrap around services. Legislation that encourages increased surveillance and cooperation among law enforcement agencies across boundaries/borders. Increased funding for evidence based prevention programs prenatal through college. Increased funding for research on prevention of, treatment for, and recovery from substance use disorders. Increase funding and support for building new detox, treatment and recovery centers. UPDATE! NOW EVERY MONDAY AND TUESDAY IN DECEMBER! All Bob Evans locations in the tri-state are participating in a fundraiser for NKYHatesHeroi.Com! Flyer must be presented at time of check out. 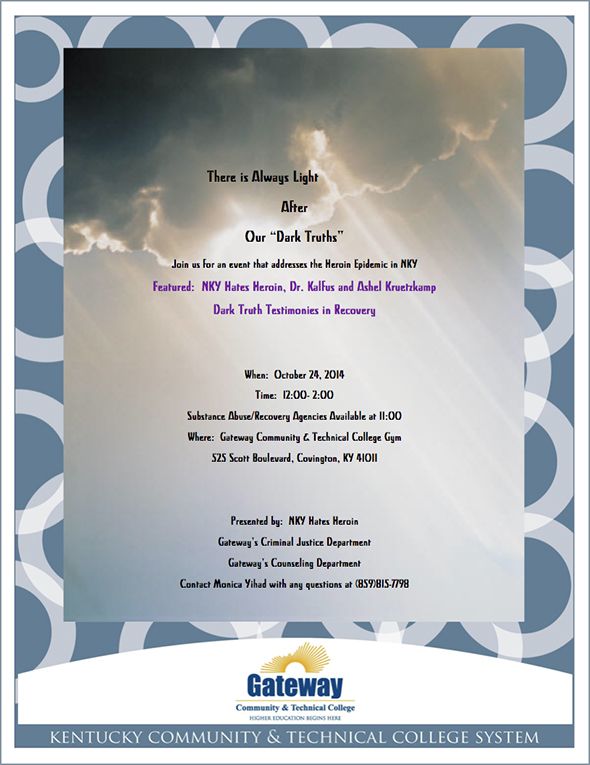 Click here to download a PDF of the flyer. Remember to print the flyer to take with you to the restaurant, and print some for your friends and family! 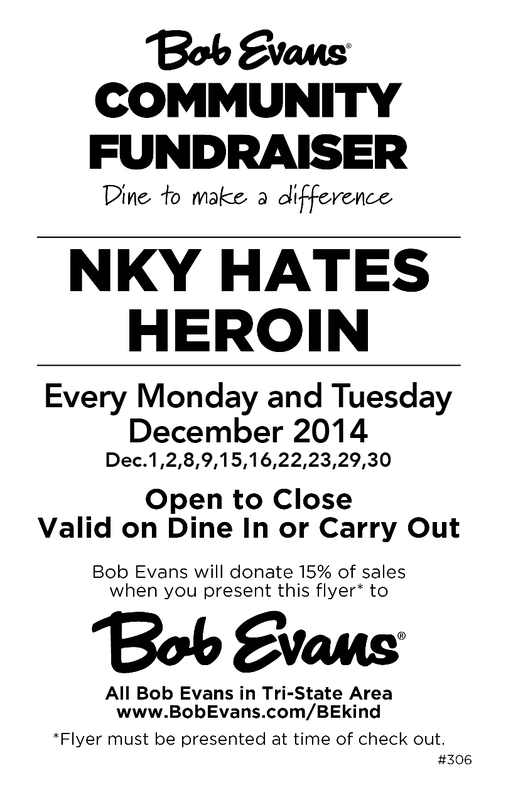 And to thank those willing to share their good fortunes, NKYHatesHeroin.Com will match up to $2,500 in donations! There are 2 categories of items needed, so feel free to donate items from either list, or both! Northern Kentucky has been affected in many ways by the heroin epidemic that has taken over our communities. There have been dozens of stories across all media formats describing the strain on fire and police departments, schools, doctors and hospitals, as well as the families affected with addiction. It seems anyone you ask knows of a friend, neighbor, work associate, or even someone in their own family that has been affected in some way or another. NKYHatesHeroin.Com recently became involved with another group affected by the heroin epidemic, the Diocesan Catholic Children’s Home in Ft.Mitchell, KY. DCCH provides support for children that have been removed from their homes by the court systems. There are approximately 1,100 children in the Northern Kentucky area that have been removed from their homes, a large percentage due to heroin addiction within the family. DCCH (Diocesan Catholic Children’s Home) Center for Children and Families has answered the call to help these children. In appreciation of their continued efforts NKYHatesHeroin.Com has made a donation to DCCH in hopes it will help lighten the financial burden this influx of children has caused. 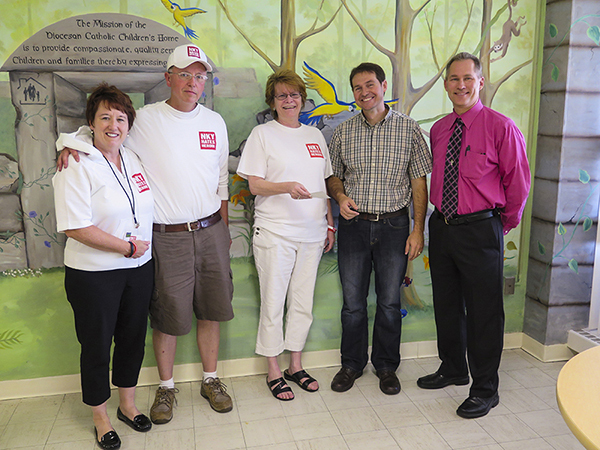 DCCH Center for Children and Families has helped Northern Kentucky children for over 160 years. Starting out as an orphanage in 1848, DCCH has evolved to meet the needs of the community and offers residential treatment, foster care, adoption, outpatient therapy and training services to area children, families and residents. DCCH is located on a 83-acre campus in Fort Mitchell, Kentucky, part of the Greater Cincinnati area. DCCH Center for Children and Families provides a continuum of care to children and families in the state of Kentucky. In addition to the services they provide to children in their residential care program, DCCH WINGS Foster Care has been providing referral, training and ongoing support services to families interested in becoming foster or adoptive families in the state of Kentucky since 1999. DCCH Center seeks caring, qualified individuals willing to open their homes and hearts to children in need. As a licensed and accredited foster care and adoption agency, DCCH carefully screens, thoroughly trains and continuously supports foster and adoptive families. If you have ever considered becoming a foster parent, now would be a great time to learn more about the opportunities to help out Kentucky’s most vulnerable children. Visit the DCCH website or call Gene Blair directly for more information. Are You Up For the Shatterproof Challenge? NKYHatesHeroin.Com is proud to partner with The Shatterproof Challenge. They are committed to fighting the same fight we’re confronted with here in Northern Kentucky and the Cincinnati region. If you like the idea of repelling down the face of a building n downtown Cincinnati, and help a national organization address addiction, provide families with much needed support, and promote addiction related research, then this is the event for you! My son, Brian, was a loving child, full of smiles and light. Like so many children, he tried marijuana. Like far too many of them, his use turned to addiction. A year ago I got the call that is every parent’s worst nightmare. My son had passed away. Brian was dead. If Brian’s passing were simply about him and the rest of my family, I would find a way to endure my suffering, and my story would end there. But this was no isolated tragedy. Brian died of a disease that touches more than 100 million Americans. It’s impossible to measure the pain it causes. In the aftermath of Brian’s death, I set out to learn what could be done to prevent others from losing their loved ones to this terrible disease. I met with leading experts in addiction and discovered programs in prevention and treatment that could have saved Brian and others like him, but for a number of reasons those programs have not been implemented. I learned that there’s no national organization devoted to the discovery and implementation of new and better treatments. I also learned that there is no national entity devoted to helping families navigate the most trying times that many will face in their lives, to educating society about the dangers of alcohol and other drug use and to changing public policy so that America will turn the tide on this health crisis. In Brian’s memory, I have dedicated myself to building an organization that will work to conquer this disease. It’s too late for my son, but not too late for countless others. On behalf of all of our children, and every family, I hope you will support this effort to end the plague of addiction. Our family’s fight against the Heroin Epidemic recently took us to Frankfort, Kentucky. Noel and Carol Stegner, Nicholas’ grandfather and grandmother as well as his parents Holly & Eric Specht traveled to Frankfort to support a bill co-sponsored by one of our biggest supports Senator Katie Stine, R-Southgate. Senate President Pro Tem Katie Stine, R-Southgate, Rep. John Tilley, D-Hopkinsville, and Attorney General Jack Conway hope to enact tougher penalties on drug traffickers and improve the treatment for heroin addicts. The leaders stood together at a Joint Appropriations and Revenue Committee as they announced legislation they will push in the 2014 session. 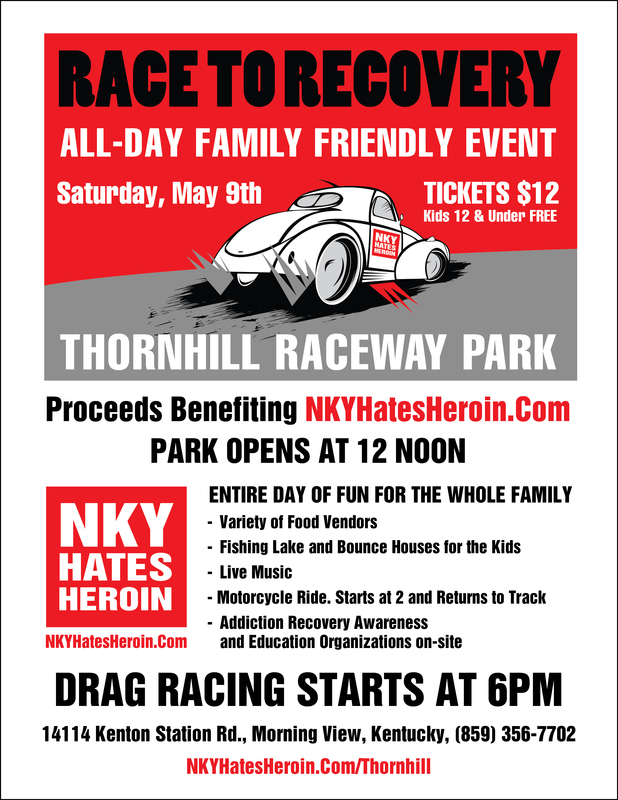 NKYHatesHeroin.Com appreciates the efforts our leaders are putting into this important issue and urge all of our fellow “Heroin Haters” to support their efforts in the upcoming session. We will keep our supporters up to date on the bill as we become aware of news. One of our goals when we first started our fight was to get our civic leaders involved so this was very exciting for us at NKYHatesHeroin.Com. Getting civic leaders involved means press conferences and news stories which brings awareness to the general public about the epidemic. Which of course is always good for our fight. And in the case of yesterday’s meeting, it was very well attended by and reported on by the press. WSAZ, Huntington, WV – UPDATE: Proposal Seeks to Curb Heroin Abuse in Ky. Your donations will help us “Fight the Fight” as we provide support and aid to those affected by addiction and their families. Partner with our communities through awareness, resources and education for prevention.